To launch our weekly round-up of some of the Hudson Valley's best offerings, we've created a list in honor of early spring's sweetest bounty: maple syrup. The Sugar Maple is New York's state tree, so it's no surprise that the region ushers in the season with interactive ways to experience (and taste!) the celebrated product. Maple farms throughout New York and the Hudson Valley offer tours in March where you can watch the maple-sugaring process from sap to syrup, including tapping trees and boiling sap. Here are our top five picks for maple-related goodness. 1. Randolph School Maple Fest—The progressive, alternative school hosts its fourth annual educational celebration on Saturday, March 9. The maple-themed festival includes tours of the steps of the traditional sugaring process, samples of the classic Jack Wax Taffy candy, live music and storytelling, nature walks and activities, and a pancake lunch fundraiser to top off the day. 2. Crown Maple Couple's Weekend Getaway and Open House—From March 15 to 17, Crown Maple's Madava Farms in Dover Plains hosts a romantic weekend retreat. Couples will be accommodated at the Ramada Inn in Fishkill where a shuttle will take them to and from Madava Farms, home of the renowned Crown Maple Syrup. There, they'll be treated to a private syrup making tour and tasting along with a maple-themed dinner created by Chef Jacob Griffin, including wine or beer pairing. Crown Maple also hosts an open house that weekend, for those who are just looking for a day trip. Don't miss Saturday evening's Moonlight Maple, where you can watch Crown's team craft one of New York's most sought-after syrups. Their Farm Stand Cafe will offer an all-maple food and drink menu throughout the weekend. 3. Lanza Farms's Specialty Products—Lanza Farms in Garrison is a 40-acre family farm that organically produces small-batch maple syrup and specialty maple products, among other things. 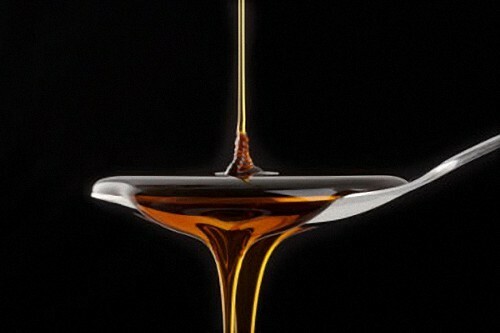 In addition to classic styles, they make a wide range of experimental syrups, including their Liquid Gold Bourbon Barrel Matured Maple Syrup, Ginger-Infused Dragon Syrup, and Buhdda Bliss Chai Tea-Infused Maple Syrup. They also offer maple nuts, soft sugar, and cream; chipotle maple BBQ sauce; and, for a perfectly sweet ending, maple cupcakes. 4. Maple Sunday Pancake Breakfast—the Taconic Outdoor Education Center in Cold Spring hosts a sugar maple celebration from 8:30am to 12pm on Sunday, March 10, with a pancake breakfast and hands-on demonstrations of tapping trees, boiling sap, and producing Hudson Valley Maple Farm syrup from the stone wall-encircled Sugar Maple grove. While you're there, stop in to Highland Lodge, a rustic lounge eatery with a large stone fireplace to warm up by. 5. Breakfast at Phoenicia Diner—Originally built in 1962, the newly opened and redesigned diner—with classic booths and retro stools—offers a menu of traditional diner favorites, sometimes with a modern twist, using seasonal and local fresh ingredients. Breakfast is served all day, from 7am to 5pm, and the house-made waffles and silver dollar buckwheat pancakes come with local maple syrup from Ulster County's Oliverea School House Maple. Go ahead and treat yourself to breakfast for lunch on a lazy Sunday.